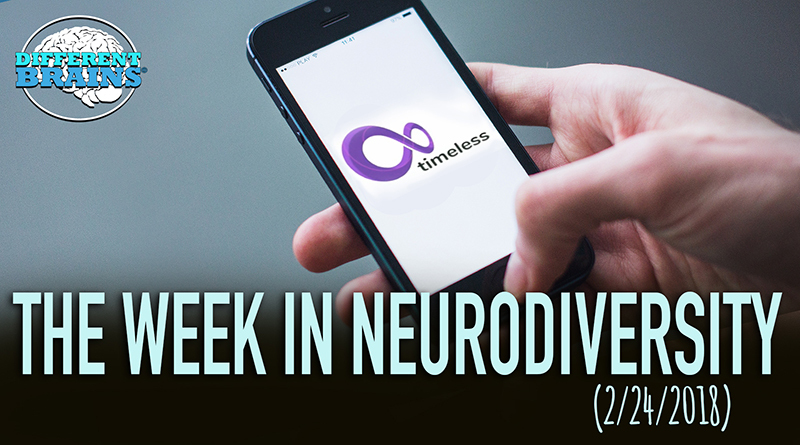 (3 min 28 sec) In this episode, a Texas baby with Down syndrome will be included in this year’s National Down Syndrome Society’s Times Square Video, researchers from USC find a link between social media use and ADHD, swimmers with Down syndrome break records in Nova Scotia, and more! [00:11] Let’s kick things off over in Texas, where a baby with Down syndrome has earned the honor of being included in this year’s National Down Syndrome Society’s Times Square Video. [00:47] Next up, a senior community out of Oregon hosted a car show to raise funds for the Alzheimer’s Association. 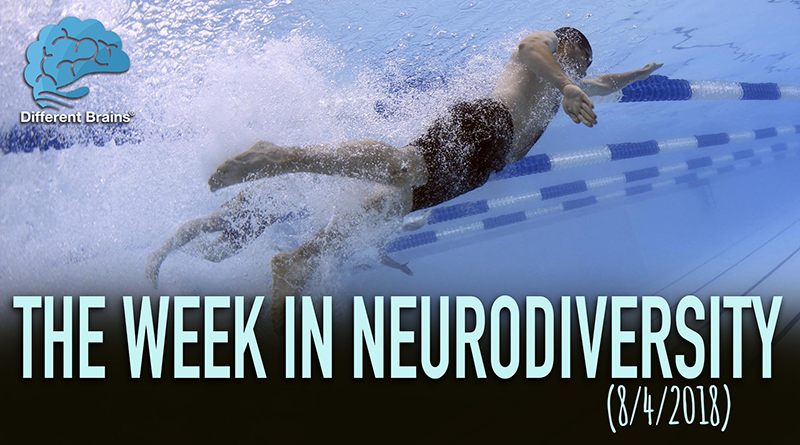 [01:14] Over in Nova Scotia, athletes with Down syndrome from all over the globe have gathered for the Down Syndrome World Swimming Championships. [01:49] Next, Researchers at USC have found a unique link between social media and ADHD. [02:15] And finally, Seattle Children’s has developed a new program to help reduce sports concussions. 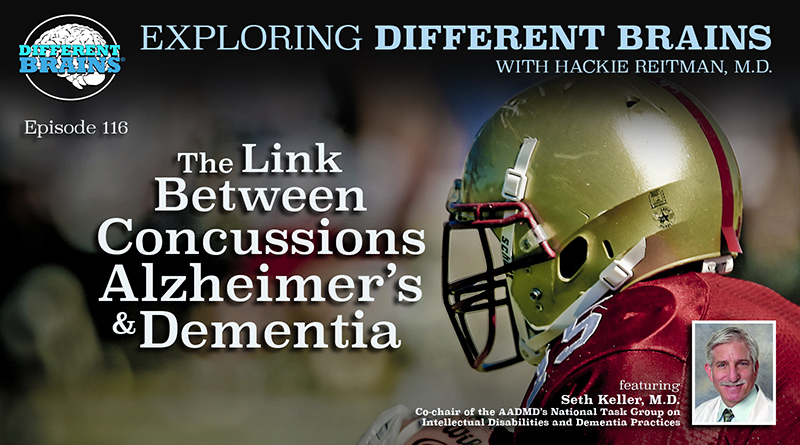 In this episode, Dr. Hackie Reitman speaks with Seth Keller, M.D.. Dr. Keller is Co-Chair of the AADMD’s National Task Group on Intellectual Disabilities and Dementia Practices. 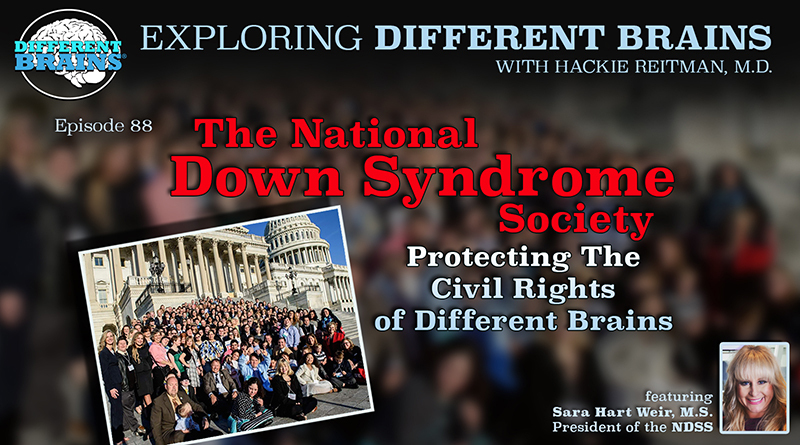 (17 mins) In this episode, Dr. Hackie Reitman speaks with Sara Hart Weir, President of the National Down Syndrome Society (NDSS).